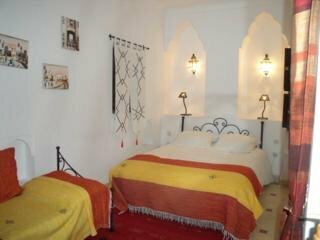 The riad is very well situated in one of the last authentic districts of the Medina of Marrakesh. It is easily accessible with a guarded car park 100 m away. 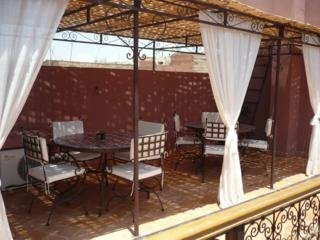 The parks surrounding the gate to the riad are just 5 minutes away by car and the inescapable Jeema El Fna square can be reached in 15 minutes by foot through the souks. 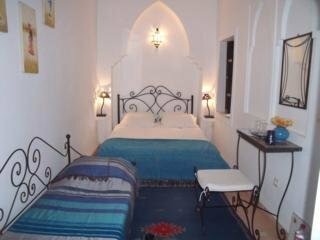 Menara Airport is approximately 15 km away from the establishment.||In this riad everything is made so that the intimacy of the customers is protected. 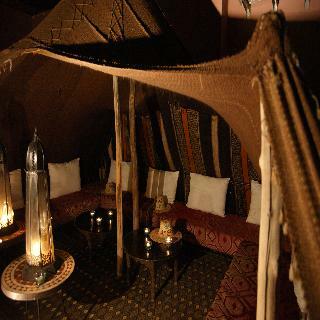 The atmosphere is restful and there are so many places to meet to end the day, such as various small lounges, deckchairs on the terrace and the sofas under the Berber tent. The omnipresent but discreet members of staff are on hand to guarantee guests an even more pleasant stay. Further facilities available to guests include 24-hour reception and check-out services and a TV lounge, as well as a restaurant and Internet access in public areas. 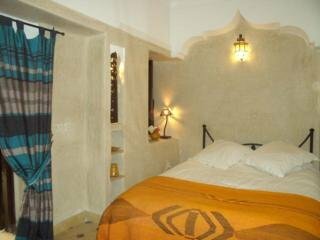 A laundry service is also provided.||This small riad consists of 4 rooms and was recently renewed with simplicity and taste. 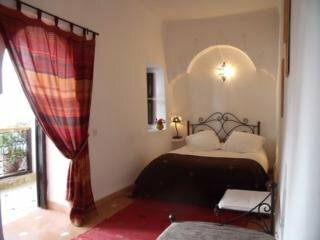 The property offers guests accommodation with all modern comforts. 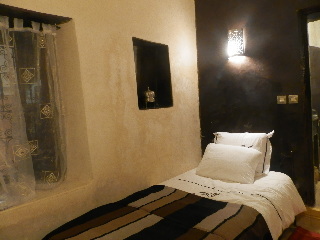 Rooms come with a private shower room and are equipped with reversible air conditioning units and a safe. 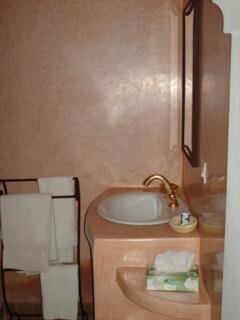 A self-service Internet point and wireless Internet access, as well as satellite television are also provided. 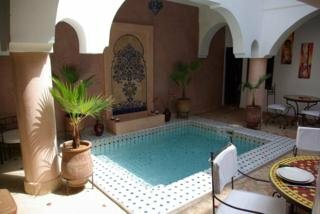 Further standard features include tea and coffee making facilities and a double bed.||The swimming pool on the patio as well as the wall fountain will provide guests with a real sensation of freshness. The raised patio, the Bhou (a lounge opened on the passageway), the terrace with its Berber tent, the arbour with its bougainvilleas and deckchairs ensure an intimate setting and peace of mind after a day spent among the souks. 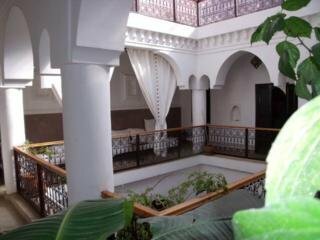 Special spa packages are also available to be enjoyed. Meanwhile, fans of the fairway can head to the nearest golf course, which is only 5 minutes away by car.